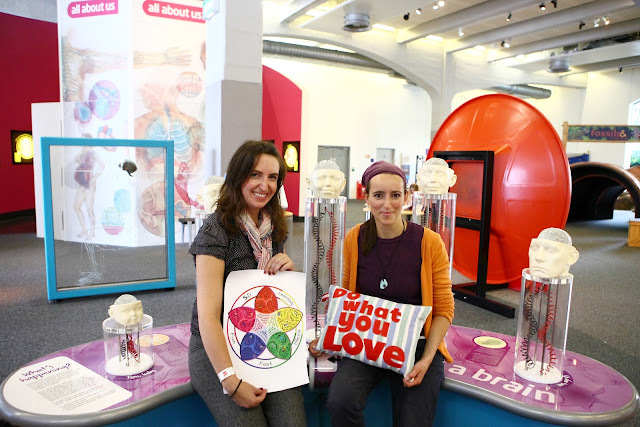 I’m a firm believer that learning should be fun – and was really inspired to meet Tanya Moore as part of the ‘Do What You Love’ project. And just want to say a huge thanks to At-Bristol for letting us hold the interview and photoshoot in their 'All about us!' 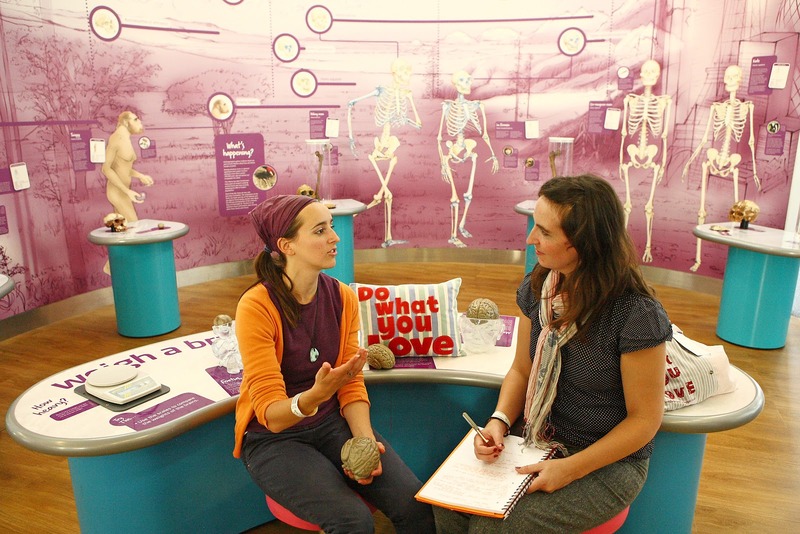 learning zone (It's a fab, fab place - and not just for children - they do adult learning evenings). And of course big thanks to Lydia Samuel for taking the super photos! I teach using accelerated learning. Accelerated learning is using the brain more effectively to achieve a faster learning rate. We believe that our brain learns at a particular rate, because that is how we learnt at school. In fact, the speed of learning can be increased by understanding how the brain learns best and fully utilising its abilities. Relaxation - Relax the body, why spend energy on tension in the body, when it can be spent on learning? Collaboration – We are social beings, the brain is designed to learn from observation and immersion. Wholeness – The brain needs a lot of water and nutrients, this increases during learning. If the brain is dehydrated, its productivity decreases and concentration is lost. Learning can be really easy and naturally it is supposed to be fun! It’s been proven that we learn most when we are relaxed – so that’s where the mediation, music and movement comes it. They are all used to ‘aid’ learning, not to distract from it. And the peak amount of time to learn is actually 20 minutes. So by learning in 20 minute chunks you’ll actually be able to retain a lot more than if you try and spend hours pouring over something. Everyone has incredible talent, and sometimes the main thing holding people back is self-belief and confidence. 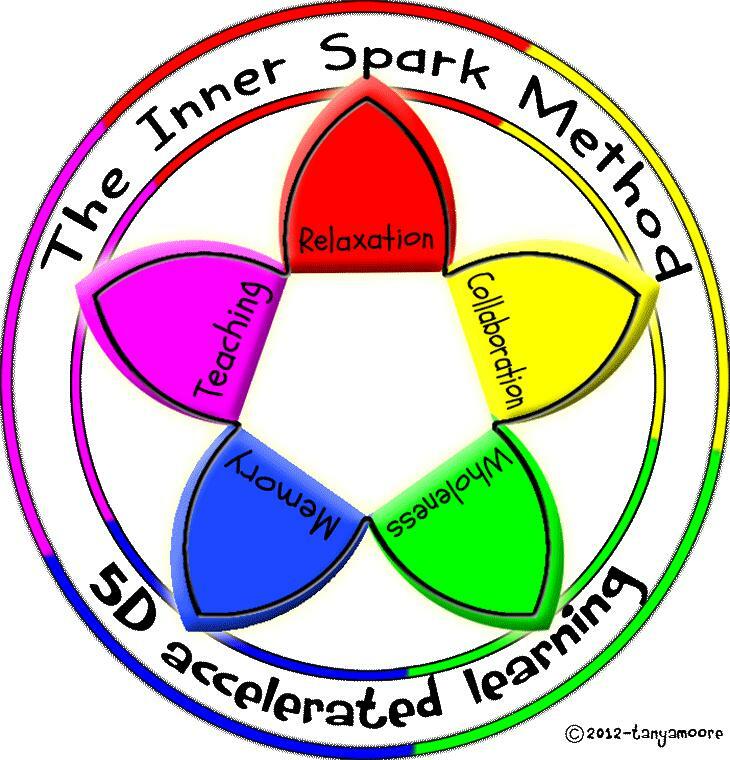 The Inner Spark Method is an innovative approach to learning. It can be applied to any subject and time frame and is used to learn information very quickly. 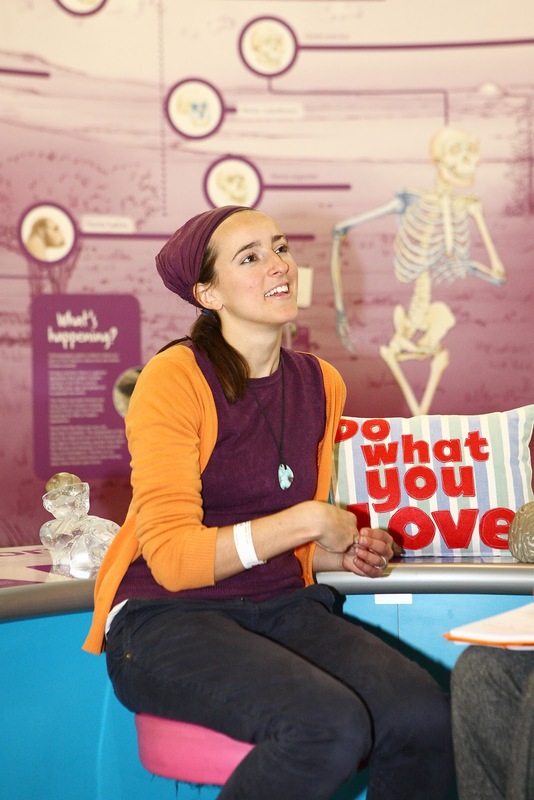 It is very interactive, engaging and involves lots of creativity. The activities are short and fast paced. Students have so much fun, that they can forget they are learning! 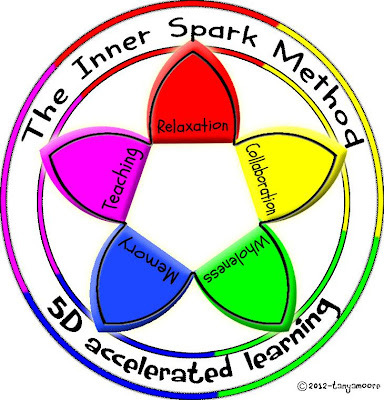 The Inner Spark Method is the result of a culmination of my experiences, teaching and training in different environments. I have used it to teach a variety of subjects, including English, History, languages and most recently the principles of permaculture. It draws upon existing methodologies and pedagogical practices from different areas, including education, psychology, personal development and memory experts. 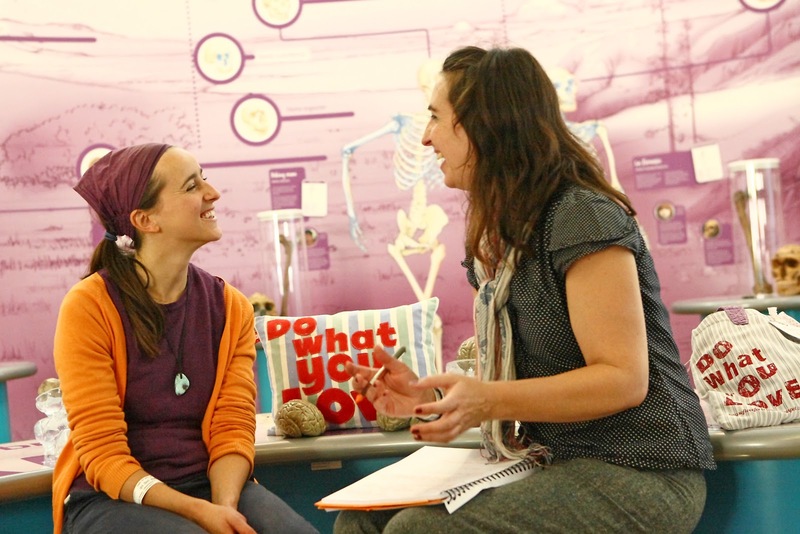 I love teaching, I love learning and I love connecting with people! I was teaching in a school in London and realised that there were many ways that students weren't reaching their potential. I wanted to support the students to get their best grades, without the constraints of the curriculum and the school environment. I started to think about my experiences and what I’d learnt myself and how I liked to learn. That was the first step towards me developing the Innerspark System. I studied Drama at university in Northampton and have always been interested in movement and music, but it was only after teaching for a while combined with my own personal experiences (I have epilepsy and through lots of trial and error have learnt how to manage it. Having epilepsy really sparked my interest in my brain, how it works and what think I could to do minimise any episodes. I discovered that water is massively important and helps to keep my mind in balance, so it is partly down to my investigations over the years that I discovered and created an alternative approach to learning – that in my opinion, and is proven through research, is actually a much, much more effective way to learn. I spent a week at a school in Russia earlier this year, as I’d heard that they were using accelerated learning techniques as part of their mainstream learning – so I wanted to see it for myself. I was amazed by the results. Each student learns on the basis that the next day they might have to teach fellow pupils in their class what they've learnt. So they really, really need to understand and engage with what they are learning so they can then pass that knowledge on. I run language courses, as I am very passionate about languages and I love seeing people realise how much they can learn in a short space of time. I’m not a native Spanish speaker, in fact I have never actually studied Spanish – or any other language in depth – but am able to learn it and teach it by applying these principles. It really frees you up to be able to learn pretty much anything you set your mind to. That’s powerful stuff once you realise that – and how to do it! How long have you been running your business for? Promoting myself and communicating what accelerated learning is. I’m good at promoting other people – but not so good at talking about myself! And setting up as self-employed is scary! I was working in a school before deciding to become self-employed. Suddenly I had to do everything myself. What’s been the highlight so far in owning and running your own business? So many things – but one is discovering ‘pay it forward’ and utilising the principles in education. It has really changed my approach to life. The simple act of doing something for someone and not expecting anything in return – but for them to then pass on that act of kindness – has had a massive impact on me. What’s the best piece of advice you've been given? What have you learnt about yourself as a result of becoming self-employed? Really it relates to the best piece of advice. After being told that –to listen to my heart - and then doing it – which isn't always easy as you have to stop and ‘listen’. I had to think ‘what makes my heart sing’ and to then jump and do it! Can you tell me about any success stories with a client? When I get feedback like that at the end of a course – it just makes me feel wonderful that I’ve really be able to make a difference and change someone’s perception of what learning can be! I’d actually encourage everyone to be self-employed! I know that we do need institutions and people to work together – but I think it is an experience everyone should have – and would benefit from by trying it! It used to be to set up my own school that taught accelerated learning – but when I was talking about this a few years ago, I realised that wasn’t actually what I really wanted. My vision is to see accelerated learning being used to teach everything, for everyone (children and adults) to understand how it works and apply it. My vision is also to see kindness, meditation, relaxation, empowerment taught in schools. Kindness is good for a person's health, for the community and it supports learning. Meditation is great for relieving stress, improving health, calming and it is benefits learning! and if you know anyone who currently runs workshops in schools and would like to be involved in Global Love Project, please connect us! I am also in the process of writing my book - 5D Accelerated Learning, it explains the 5 Key elements to fun, fast, effective learning. Each chapter contains exercises that can be used for different subjects and age groups. My intention is to co-create this book with children - I am looking to go into schools, communities, educational groups and share this approach to fun learning, teaching it to children and teachers. This can be a 2 hour interactive session (although, of course it can be adapted to suit different needs and requirements). In teaching the approach, I will also explain the key elements that are in the book and we will do some of the different exercises. I would ask the children if they would like to contribute to the book in any way, this could be writing or drawing something during the session. Learn with others! A shared experience is more memorable than on your own. What is The 'Do What You Love' Project..? After printing this message on my bags I thought - ooh I'd love to find ten local Bristol business people who do what they love, interview them about what they do, why they love it and how they've got there and also 'model' one of my bags / cushions. I really wanted to work with a local photographer - so approached Lydia Samuel via Outset to see if she would be interested in collaborating with me. She was! Perfect! So a call-out was created, posted on facebook and twitter and people started applying! Over thirty people applied, and it was really difficult to choose ten. I spent my time going through each application and selected the ten as I felt their passion really shone through. Everyone who applied will be featured though in some way as I think it's important to celebrate everyone who is doing something they love! These interviews and photographs are the results. I hope you enjoy reading this series of interviews, and that it will inspire you in some way to pursue your dreams and ‘Do what you Love!’ (that is if you aren't doing that already! - if you are - do let me know by leaving a comment about what you do and why you love it!). 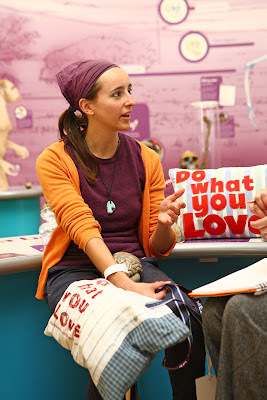 Want your own 'Do What You Love' bag or cushion?